Casino revenue at South Korean casino operator Paradise Co Ltd fell 30.4 percent year-on-year in May, the firm said in a filing on Wednesday to the Korea Exchange. Such revenue was KRW41.59 billion (US$37.1 million) compared to KRW59.72 billion in the prior-year period. Judged month-on-month, May casino revenue increased by 7.5 percent compared to April. The company reported a 30.9 percent year-on-year decline in table game revenue in May, to KRW39.06 billion. Machine game revenue fell 20.3 percent to approximately KRW2.54 billion last month. The decrease in overall gaming revenue coincides with a decline in the number of Chinese visitors to South Korea since the start of the year. The dip in the number of Chinese visitors to the country has been said by commentators to relate to a diplomatic row between China and South Korea over the latter’s installation, starting in early March, of a U.S.-supplied missile system. The number of Chinese visitors to South Korea in the first four months of 2017 fell 25.8 percent year-on-year, according to data from the Korea Tourism Organization. 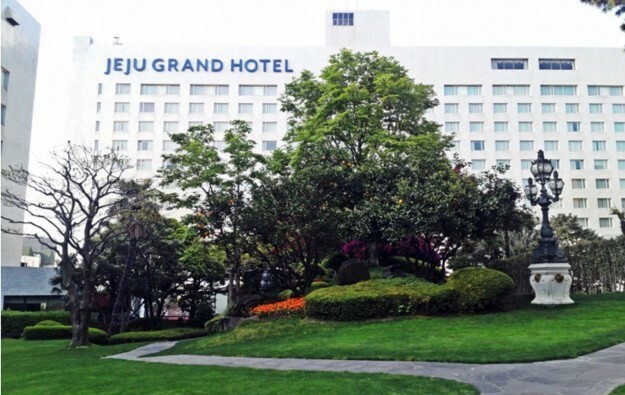 Paradise Co’s casino figures are based on the results of four venues it operates, all foreigner-only casinos, namely: Walkerhill in Seoul; Jeju Grand (pictured) on Jeju Island; Busan Casino in the southern port city of Busan; and Paradise City, in Incheon, near the main international airport serving the country’s capital Seoul. The latest reporting period included the first full month of operations of Paradise City. The first phase of the casino resort – a venture between Paradise Co and Japanese pachinko operator Sega Sammy Holdings Inc – opened on April 20. In the five months to May 31, Paradise Co’s casino revenue was down 19.2 percent year-on-year, to approximately KRW204.93 billion. Table game revenue declined 20.1 percent year-on-year in the first five months of 2017, while machine game revenue declined by 5.4 percent. In the first five months of 2017, casino drop – measured as the amount of cash exchanged for chips by customers at casino tables – was down 5.4 percent year-on-year, at nearly KRW1.95 trillion. Paradise Co last month reported profit of approximately KRW1.27 billion for the three months ended March 31, down 92 percent from the prior-year period.